That’s how Beyond Vision a.k.a Colin Govender from South Africa describes himself as an electronic music producer and DJ. Beyond Vision also producers different styles of music under the alias P.C.G and Euphoric Soul. While music has always been his passion, it was through his curiosity about the music software “FRUITY LOOPS” that ignited a spark of interest in music production setting his music making skills ablaze. He was producing music for only six months when a track was born – ‘a demo was sent to Derek the Bandit, a DJ who bossed the South African dance show on National Radio station ’5fm’. The track was aired 3 weeks in a row. 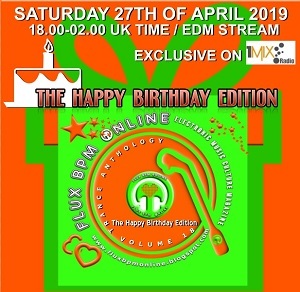 Since then other tracks have featured on radio as well as podcasts worldwide. 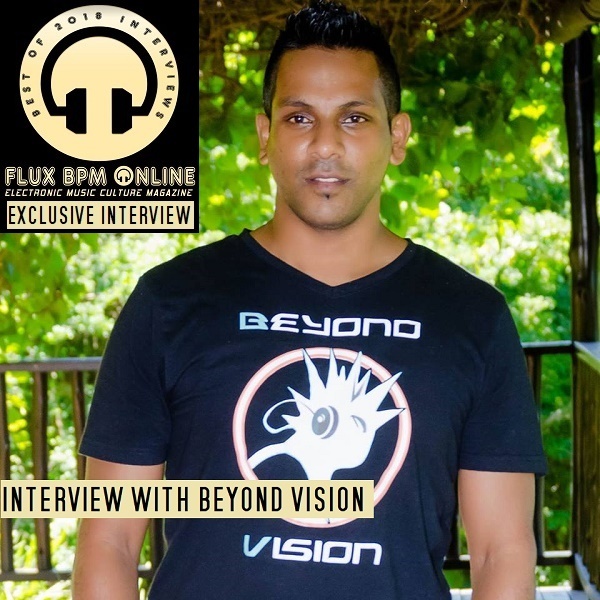 Beyond Vision has six tracks that features on the South African dance compilation called “Electronically Connected”. With expanded vision, Beyond Vision has forged links with many top Artists worldwide, with releases on various labels. Today Beyond Vision not only creates captivating music but he also sets dance floors on fire with his DJing skills. Dimitris: Can you rate 2018 for you as a year with 1 being very bad until 10 that is perfect year! Beyond Vision: 1. Mesmerized - Dreamy and a touch of the classic sound of trance that people love. 2. Ignite - On this track, I gave the audience a little taste of some orchestration at the breakdown and of whats to come on some future productions in 2019. I also brought a little dirtier sound. 4) Best Remix that you have produced in 2018, please tell us why you believe is your best work(please provide the listening link for our readers)? Beyond Vision: For now I can't release much info, All i can say is that I have had the opportunity to remix a legend and getting his approval of my remix is really great! 2019 will start with an absolute beauty for you trance fans! Beyond Vision: Me ;-) I am finally getting out of my shell and releasing tracks and this year I will consider just a teaser! Beyond Vision: So many to choose so it's hard. I think albums are still and always be relevant as it sums up a producers career for that period! Beyond Vision: I can single out one in particular but I really enjoy the artwork that comes out from Grotesque Music! 8) Best lyrics in an electronic music track in 2018 (it can be your production or from other artists) Please explain why you like these lyrics so much! Beyond Vision: It's a Classic remixed by Chris Schweizer. I really loved the vocals by Andain on her track Promises! Beyond Vision: I think everyone only focuses on big vocalist but there's many out there with great voices and just need more exposure. For me it's Aylin (Lifeline Featuring Aylin - Moments) was a really good example of her vocal ability! Beyond Vision: Instagram. It's really cool cos people post random everyday stuff and you also get to see things they love and enjoy! Beyond Vision: I received a few on various platforms but I received a personal message from a listener of my music in U.S.A and I think it kind of summed up my music. "You music is really awesome, your melodies and atmospheres in your music touch me emotionally and made my day so much better. I would love to hear so much more from you. You have a new fan"
Beyond Vision: FL Studio. Really love it, It's made for musicians. To take the idea from your head and put it into a song, for me, it's the most friendly out there! Beyond Vision: Trance Energy! In the early days when I began producing trance, watching videos my best friend brought from Holland was really inspiring! Beyond Vision: ASOT, I think Armin and his team are doing a good job in making Thursday's fun for Trance fans around the world! I'm going to give it a 8 out of 10, we just need more music played outside of the Armada label on he show to take it to the next Level! Dimitris: Do you have a radio show or vlog? Have you produced any YouTube tutorials for fellow artists to learn from you? If yes please tell us here the details and choose the best episode from your radio show/vlog/YouTube tutorial for 2018. Beyond Vision: Yes, I have a Radio Show. It's Called "Trance from Above" I play the latest in Progressive and Trance every 2nd and 4th Friday of the Month. My show is Features on Tranceworld. 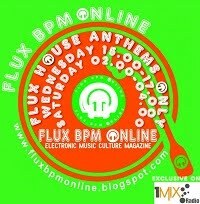 Log on to www.tranceworld.net and enjoy the show 9pm South African Time! I think the website is really great and Miguel's passion for trance runs through that site. Check it out and you wont be disappointed! 16) Best new sound or sample that has been introduced in any electronic music track in 2018 and you wish to have invented it or you may even have introduced it for the first time? Beyond Vision: None, I'm hoping in 2019, Producers start exploring more! Beyond Vision: Don't Over Compress and there is no need to use compression on every single in your production. Use EQ to resolve many issues in the mixdown! Dimitris: In 2018 the electronic music talent AVICII died and this has alerted several artists to become more health conscious. Are there any lessons to learn as an artist out from this sad event? Beyond Vision: Yes, There is many people who will help you on your journey, Never let anyone control you and as an individual, always be in control of your life. If something is not right, don't do it to make someone happy while making yourself unhappy. Avicii was a great guy and he just let people around him dominate him and the world has lost a great talent way too early! Dimitris: In 2018 there was a big movement for revival of classic tracks and retro events have boomed with music policy of solely classic tracks. What is your opinion about events or stages only with classics and can you choose for us your absolute 3 favourite classics? Beyond Vision: I think classics is great and I love them cos music was written with more emotion for me compared to nowadays music but what I find sad is classic DJ's are getting bookings and a lot of young up and coming talent is getting no recognition at Trance Events and this for me is killing the scene slowly hence trance is growing at such a slow rate! Dimitris: Can you mention briefly your plans for your future releases, tracks, albums, collaborations, DJ gigs for 2019! Beyond Vision: I don't want to say too much, Just remember the name "BEYOND VISION" as I will try my best to make 2019 the biggest yet. I have a vocal track and may originals and a few collaborations in the pipeline! Dimitris: Finally, what is your biggest wish for 2019 and give us your wishes for our readers? Beyond Vision: I just hope the old guard can start stepping down a bit and help groom and letting more new talent in! Trance needs a next generation! Thanks so much to Beyond Vision for his answers. Thanks to Justin at High Contrast /Be Yourself Music for organising this interview.